Problem pests may hide in your walls, in your attic, basement, garage or even in plumbing and behind appliances. Many may go unseen for months while their populations grow, and spotting an invader often indicates the nest or hive has grown too large to stay invisible. 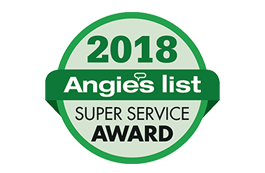 Amherst Exterminators are professional pest exterminators specializing in the elimination of the area’s most pervasive and troublesome insects and rodents in Chautauqua, NY, and the surrounding Chautauqua County towns. Mice, carpenter ants, hornets and bees are some of the most common nuisances in the Chautauqua area, though other pests may also appear. Amherst Exterminators provides fast, effective pest control for these and other insects that may be damaging your home. Experienced exterminators safely eliminate problematic pests, their nests, hives, queens, eggs and offspring so you can enjoy your home or business again in safety and comfort. If you have noticed pests around your home, office, restaurant, apartment building or other space, there may already be a significant population hiding. Call Amherst Exterminators today to set up an appointment and stop the problem immediately.